How important is preventive maintenance? Where can I get it done? 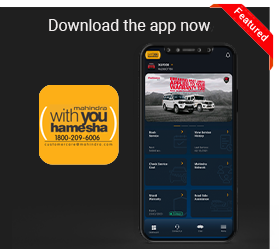 In your owner's manual of your Mahindra vehicle, you will find "Maintenance Schedule Chart " under the "After Driving" section. 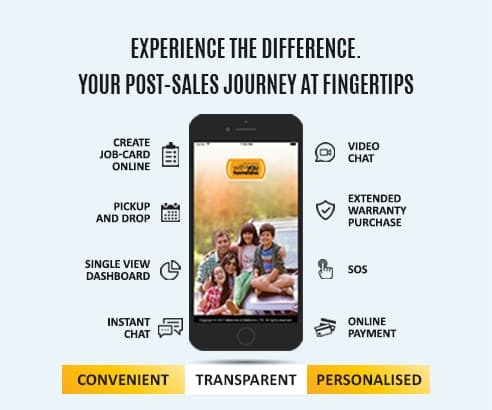 This will guide you on how often you must send your vehicle to the Mahindra authorized workshop for check up and maintenance service. Doing so will not only prolong the life of your vehicle but will also reduce maintenance costs. We urge you to carry out your vehicle maintenance services only with Mahindra authorized workshops. Do I need to strictly follow the schedule in the owner's handbook? Yes, it is imperative that you follow the regular periodic maintenance schedule as listed in the owner's manual. 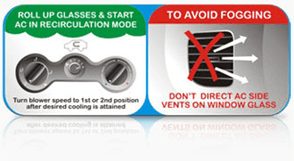 This will ensure trouble free operation of the vehicle and enhance the life of the engine. 1 The most important thing that matters in vehicle maintenance is keeping both the exterior and the interior of your vehicle clean and tidy. 2 Check the condition of the windshield wipers. 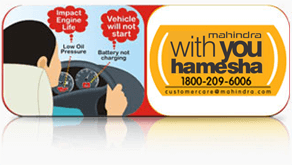 If you find any kind of damage, have it replaced at your authorised Mahindra workshop. 3 To clean the mirror and glass surface of your vehicle, use a scratch-free microfiber towel or a glass cleaner. 4 Keep the area surrounding the engine clean and check for any kind of damage in the engine components. Engine plays a significant role in the functioning of a vehicle and hence needs extra care. 5 To ensure better life of the gearshift you have to be very friendly while shifting gears using the clutch. 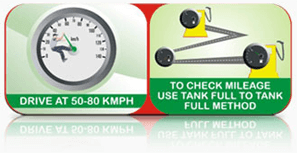 It is also important to select the right gear at the right speed of the vehicle and the condition of the road. 6 Check the levels of engine oil, steering fluid, transmission fluid, brake fluid and coolant fluid. Look out for any leakages. 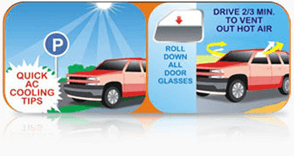 7 Carefully check the working of the headlights, taillights and interior lights. 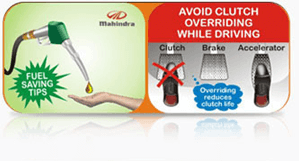 8 Apply handbrakes only when clutch is pressed or when the vehicle is in neutral. 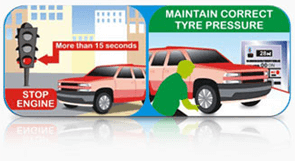 9 Check the condition of your vehicle tyres for any uneven or non-uniform wear. Check the tyre pressure regularly. 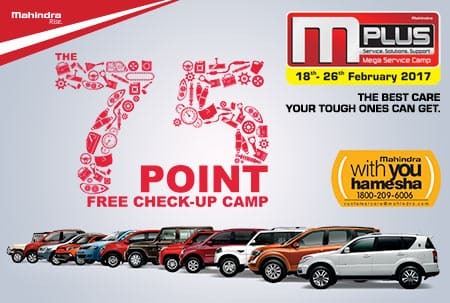 10 Regular and timely visit to your Mahindra authorised workshop for periodic maintenance of your vehicle. Body scratches deep enough to cause rust. Remove any leaves, dirt, etc.